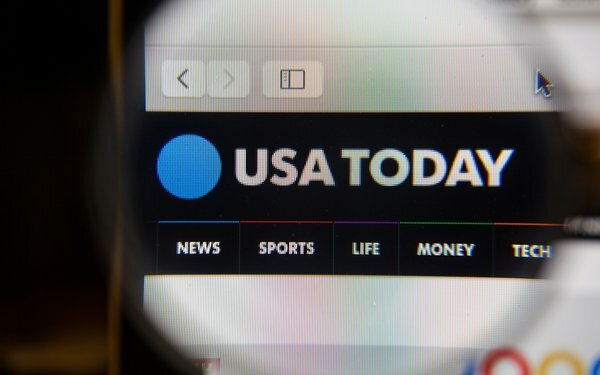 USA Today editor-in-chief Nicole Carroll apologized for her role in creating an Arizona State University yearbook that showed two pictures of people dressed in blackface. The revelation has compelled parts of the Twitter mob to ask for her resignation -- it’s only fair, considering that Megan Kelly lost her job at NBC News for defending blackface Halloween costumes. Kelly later apologized, but NBC News could conveniently use the incident to throw her overboard amid disappointing ratings for every show that featured her on the network. I don’t think Carroll should lose her job, but she should make a professional commitment to raising awareness about the shameful history of blackface. Blackface is never excusable -- especially not for anything that can be called entertainment, like comedy skits or Halloween costumes. It’s a painful reminder that white entertainers used blackface to objectify, mock and belittle black people since the pre-Civil War era. As The New York Times notes, blackface emerged in the early 1830s at minstrel shows and blackface performances as cartoonish portrayals of slaves by white people. Blackface has somehow endured in Hollywood, including Robert Downey Jr.’s portrayal of a celebrated actor in “Tropic Thunder” who is so committed to getting into character that he undergoes some kind of medical procedure to make himself black. The AMC series “Mad Men” also featured a white character who serenades his wife while wearing blackface, but that was keeping with the show’s broader themes of examining the mistreatment of women and minorities during the socially tumultuous 1960s. I'm just waiting for a celebrity, politician or journalist to use the excuse that critics are mistaking an exfoliating charcoal beauty mask for blackface. Carroll’s yearbook is an embarrassing relic. She has an opportunity as editor of a major newspaper to explain why blackface belongs in the dustbin of history. When I lived in Eastern Europe during the post-Communist era, I’d see street signs crossed out and restored to prior Hungarian names to reflect the changed political circumstances. Both names were visible to help people navigate the city, but they also served as a reminder of the country’s existence under Soviet oppression, not to celebrate the bygone era. I also visited the Auschwitz and Birkenau death camps outside of Krakow, Poland. They serve as a grim reminder of man’s inhumanity to man, not as an example of Nazi triumphalism. With those lessons in mind, I don’t recommend Carroll’s yearbook be thrown into a bonfire, but be preserved in the context of avoiding a return to a more racist past.